Firstly you need to go to the plickers website and download a set of cards. You get two images per card and a total of 40 cards they look like this. As I was only trying this app out I left them just as a piece of paper but I would recommend that you laminate them. Then next thing you need to do is go to the website and create a class. This is pretty straight forward. You imput a class name and then the name of each person, sadly you cannot import a list but you can just add first names or even initials. 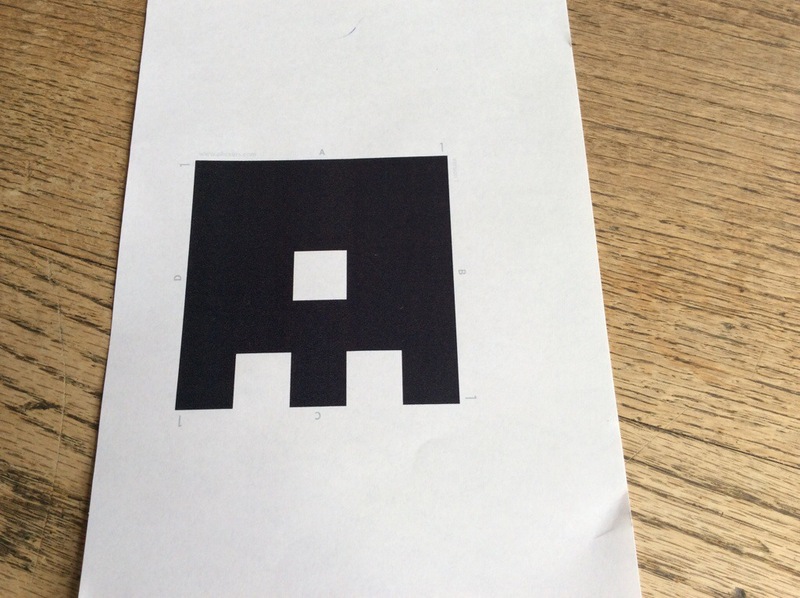 You are now pretty much all set to use plickers. You will however need to download the free app to your phone or tablet. You now need some questions. This is done very simply via the plickers app select your class and then write your questions by tapping the + at the bottom of the screen. Select which of the 4 options will be the correct answer. The questions screen looks like this. Next the faffy bit. You need to hand an answer card to each student in your class BUT and this is important, you must give each student the correct number of card according to the class list on the website. This can be a bot of a pain at the beginning of a lesson but I a sure you can become quite slick at it as the students will get to know which number they are. When you are ready to ask the students as question go to your plickers app and select your class and then the question that you want to ask them. Plickers does not display the questions or the options for the students, you could do this verbally or as I did and write them on the board, make sure that you know which response is the correct one according to the plickers app. 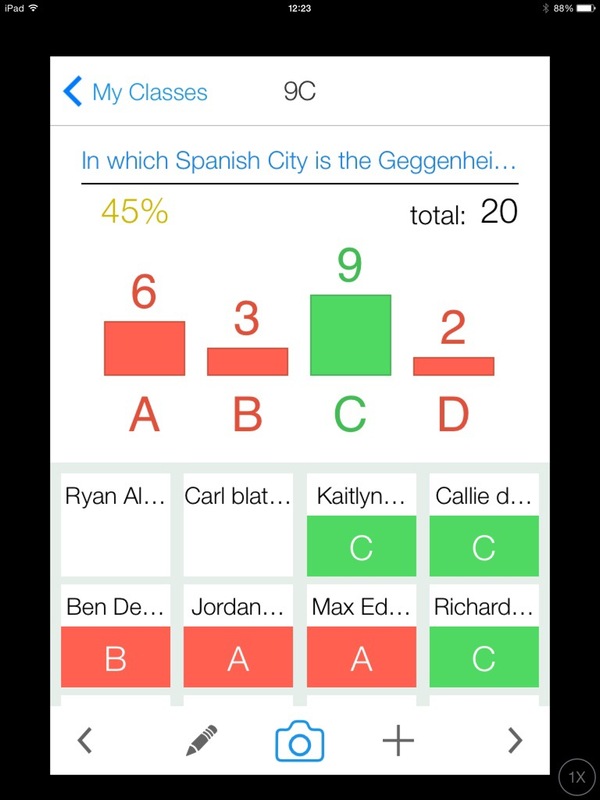 You now tap the camera icon at the bottom of your screen and the students hold up their response cards. Each side of the card is labelled A,B,C,D. If a student thinks the answer is A they must hold their cards with the letter A uppermost on the card like this. 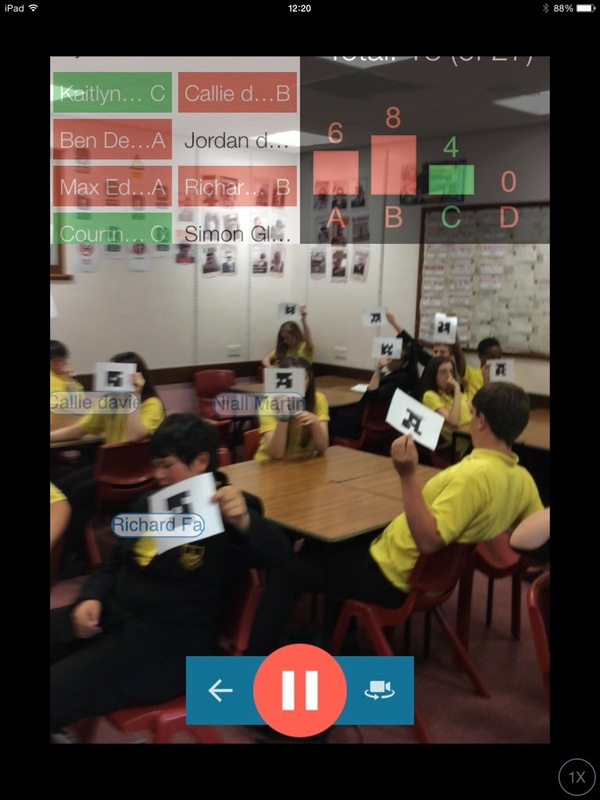 With all the students holding up their cards you now scan the classroom from right to left with your smartphone/tablet camera and the app records the answers. The very clever thing about this app is you can see on your screen which cards the camera as picked up and those which it hasn’t. You may need to scan a couple of times in order to record the answers. Make sure that your students hold their cards at the edges otherwise it will not scan. Your screen should look like this when you scan. 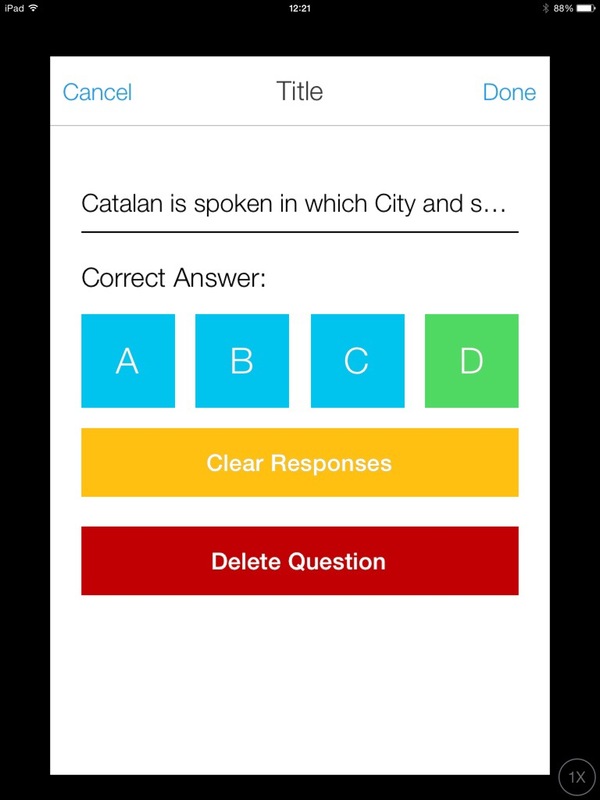 The app then records the answers the students have given and colour codes then green for correct and red for incorrect. You can very quickly see who has understood and who hasn’t. Like this. In one sense yes I did. 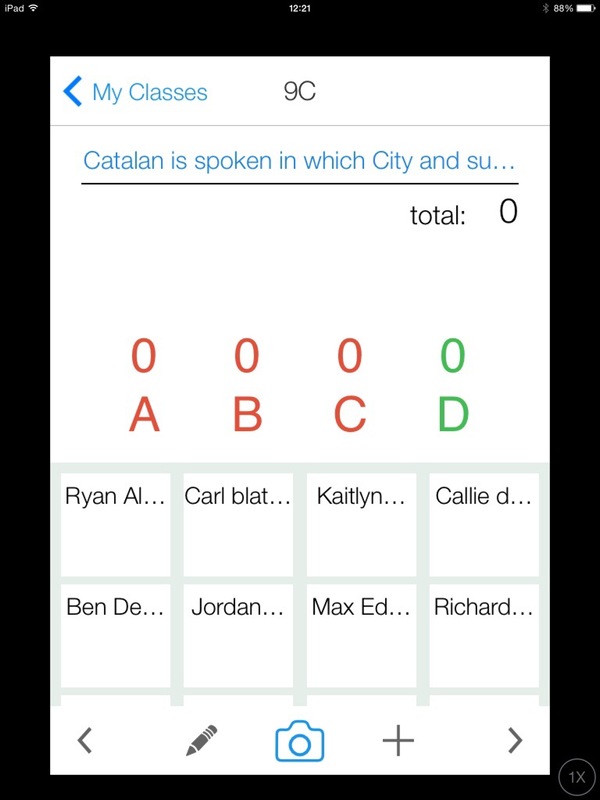 I liked the fact that in a one iPad classroom you can still very easily have a polling app that works very well and gives you that instant feedback that you get with other apps like Socrative or Google forms. However, I did find the handing out of cards bit of a faff but as previously said I guess that you become much slicker at it and train your students to collect their own correct cards on arrival to the classroom. Plickers is great to use on the hop you can very quickly put together you poll in the app ask the question and poll the results, it would be great to use as a plenary. The fact that the questions don’t appear on screen for the students is annoying especially of you give them 4 options as the students can never remember what you have said so you have to write them on the board. Would I use the App again? Yes I would but as I have iPads in my classroom I prefer all the options that Socrative gives me. For the 1 iPad classroom this app is utterly perfect, very clever and great for using in the hoof. Student cards could be stuck on the inside cover of their exercise book or planner, so that they always have them? I like this app and would like to use it more next year. That is a good idea. I too struggled with handing them out. More likely to do it again now!